From time to time, everyone needs some specific service and finding the most quality one in our area of living it can be hard if you don’t know how to make the search easier. With the development of phones, nowadays there are many apps to help us find what we are looking for and be our local guides. 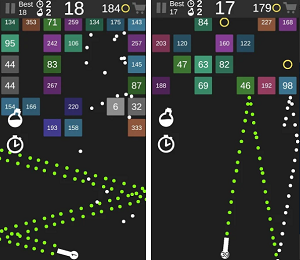 Choosing the right app for this purpose, can be confusing. But, no worries, we have for you one amazing local guiding app – Nodat. Let’s see what this app is all about. 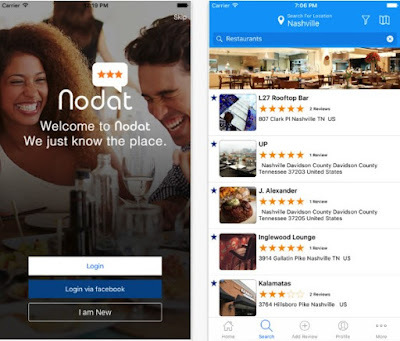 Nodat is a local guide app that is developed for both iOS and android users that can help you find nearby restaurants, food, bars, doctor, realtor and basically any . This app is highly helpful tool that gives the users a chance to look and find the best service in their area without any effort. The users of this app can look through many different services in their area, read complete information and reviews about benefits and offerings from a specific service they searched for. Many types of services can be found through this app, from doctors, dentists, health or child care centers, fitness centers, restaurants, and much more. This app is certainly high quality and easy to use local guide, that help users make their daily life easier and more productive. No more time wasted on searching online services! Only, with using the app the users can learn about towns or plan trips, find different type of services, as realtor and mover services, doctors and dentists, personal trainers and gyms, restaurants and night clubs, health centers, child care and pet centers. All of that followed by detailed information and video reviews that the users can see on the app while looking for a specific service that will fulfill their needs and be by their taste. Find the right service for you without losing time searching, the app will give you the best options you need for sure. Download the app now on Google Play and App Store for free.